I have always loved photos. Really. I'm a little obsessed. As a tween and teen I had huge photo collages all over my room of friends, family, trips. It is an addiction I am pretty sure I have passed on to my children. They love getting out our family photo books and looking at their pictures. It is super cute, but a little "dangerous" for their mom. I don't want them to rip out a page or ruin them but I really want them to love looking at all the pictures. 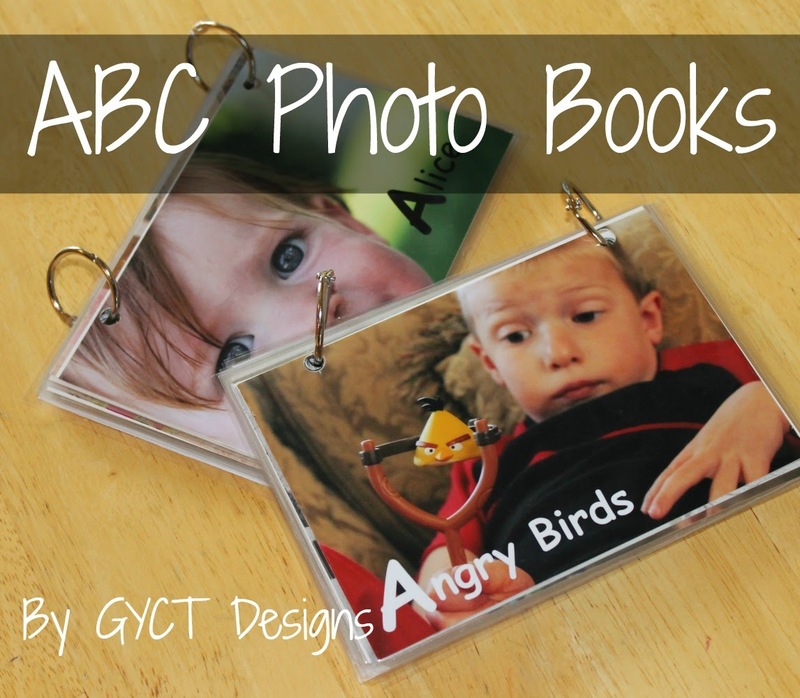 So ABC Photo Books to the rescue. This is a super simple and fun project you can do with your kids. The hardest part is deciding what pictures to use. Let's get started! Make a list from A-Z. Decide on photos and descriptive words for each of the pictures you want to use. you might have to get really creative, but that is where it is fun to have your little ones help. Open you photos in your photo editing software. I used Picasa. 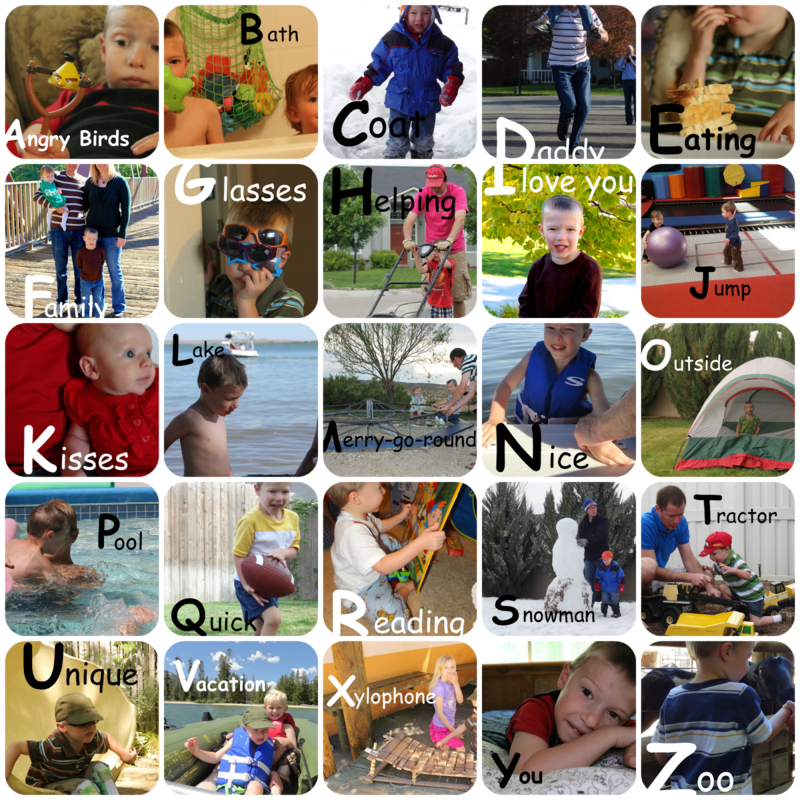 Add your "letter" and word to each picture individually. This is super easy. Make sure you get each letter A to Z. Now print your photos. You can print from your computer or you can upload them to your favorite photo site and have them printed. Grab your pictures and your laminator. I use the Scotch Thermal Laminator and Laminating Pouches. It isn't super fancy, but it does good work. Now is the tricky part. If you want your book to read like a book, you'll need to place your pictures back to back. So letter A is backed with letter B. And so forth. 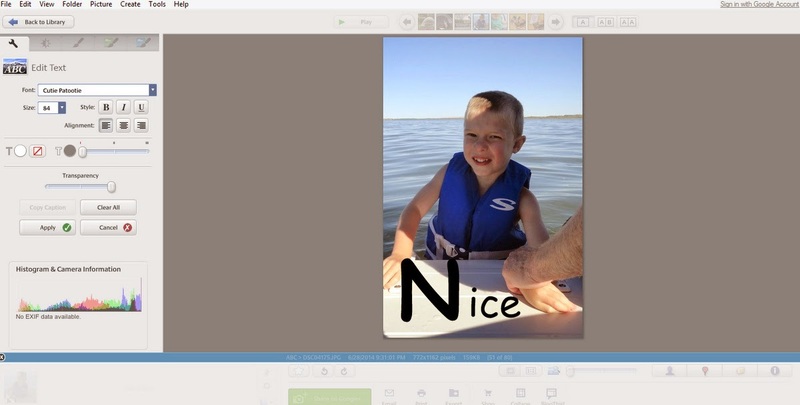 Place your pictures in your laminating sheets and laminate. I used the 8.5" x 11" sheets. I could fit 4 of my 4x5 photos in one sheet. Once your pictures are laminated, cut them down to size. Now punch holes in each laminated photos and place rings through the holes. Getting reading!! I promise they will love it. Mine love theirs. I keep finding them all through the house. Here are some of the pages we came up with. Some of them are a bit silly and each child has a different book specifically for them. This one is for my son.